Plastic surgery is a type of surgery designed to reconstruct parts of the face or body. Plastic surgery can address defects due to birth disorders, burns, diseases or other trauma. Whereas cosmetic surgery is often designed to enhance one’s appearance, plastic surgery’s aim is to correct existing problems. Can You Get a Loan for Plastic Surgery? 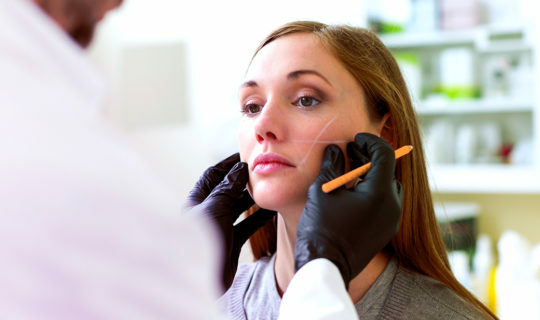 Yes, you may be able to get a loan for plastic surgery along with a number of other options. Figuring out how to finance plastic surgery can be difficult, because it may not typically be covered by insurance. The costs can be thousands of dollars, but if the procedure is a high priority to you, there are ways to pay for it. Personal Loans: If you have a good credit history, it is possible that you could get a better interest rate on a personal loan versus a credit card. Additionally, some personal loans have fixed interest rates and terms. This means you will know exactly what your monthly payment will be from the start of the loan until you pay it off, making budgeting for this big expense a bit easier and predictable. If approved for a personal loan from Discover, in particular, you could get the funds sent fairly quickly, too. Before you apply, you can check your rate on a Discover personal loan, without affecting your credit score, and you may well be on your way to the plastic surgery financing you are seeking. Personal Credit Cards: Personal credit cards are a popular way to obtain plastic surgery financing quickly. Either an individual already has enough credit to cover the cost of the surgery, or they can fairly easily obtain a new line of credit. This can be an especially attractive option if you open a line of credit with an initial 0% APR offer. However, if you exceed the introductory offer or finance your plastic surgery on an existing line of credit without such an offer, you could be paying significantly more over time. Medical Credit Cards: Medical credit cards provide an easy-to-obtain method of financing for qualified individuals, and they help to pay for procedures that are either not covered by a patient’s medical insurance or not entirely covered. However, as with all contracts, it’s important to read the fine print when obtaining a medical credit card. The terms of many of these types of credit cards may include harsh penalties for a missed payment. Additionally, interest can be applied to prior expenses if the balance of the card is not paid off in total by the end of the promotional period. 401(K) Account Loan: Many 401(k) accounts will let you borrow up to a certain amount of your vested balance with minimal difficulty and at low interest rates. Loan repayments are then automatically deducted from your paycheck until the balance is paid off. This can be an effective method to finance your plastic surgery. However, there are additional factors to consider. You will want to look carefully at any taxes or penalties that you may potentially encounter. Also, some plans do not allow further contributions to your account until the loan balance is paid off. This means you could miss out on additional asset growth in the interim. Home Equity Loan: A home equity loan is another possible plastic surgery financing option if you are a homeowner. A home equity loan offers the possibility of a large amount of credit at low monthly payments over a long amount of time. This is because the value of your home is used as collateral for the loan. Keep in mind, though, that home equity loans may use a variable interest rate based on the current prime rate plus a certain amount of percentage points. This means your interest rate can change. Additionally, if the housing market takes a dip over the course of your loan and your overall home value decreases significantly, you could possibly end up with negative equity in your home. It could be, however, something to consider if you need more than, say, $35,000 and you plan ahead to allow enough time for the application process. Doctor’s Payment Plan: Some plastic surgeons offer in-house financing options for their patients. This can oftentimes be an ideal plastic surgery financing solution, so be sure to ask your doctor about the possibility. This is because they often don’t include interest charges. Additionally, these payment plans are not reported to credit bureaus. Should you need additional surgery, however, this may put you in a difficult position if you haven’t yet paid off your first procedure in full. Savings: If you are able to pay out-of-pocket, you won’t have to take on any additional debt. You also won’t have to pay any extra in interest costs. You should consider how much of your savings you are willing to devote to the plastic surgery, however. Spending your savings means that you have less immediate access to cash should an emergency occur. Deciding how to finance plastic surgery is a highly personal process. There are pros and cons to every option. The best approach is to know fully what options you have available to you and examine each one as to how it could affect your personal financial situation. These suggestions from Discover Personal Loans are a terrific start, but be sure to carry out further research until you find the option that best fits your life. Interested in a personal loan for medical expenses? Estimate your monthly payments by using our Personal Loan Calculator!